Electro Harmonix have been honoured x3 times at this years Music & Sound Awards that took place at Namm 2016. Amongst these awards the Key 9 secured best floor effects pedals of 2015. A favourite of ours, it is also noteworthy that the Electro Harmonix B9 won the award the year before. Mike Matthews, Electro-Harmonix Founder and President, was honored with Music & Sound Retailer magazine’s Lifetime Achievement / Hall of Fame Award. The announcement was made at the 2016 Winter NAMM Show, the musical instrument industry’s largest trade show. Mike was selected for the honor by voters who chose him from a short list of industry notables. 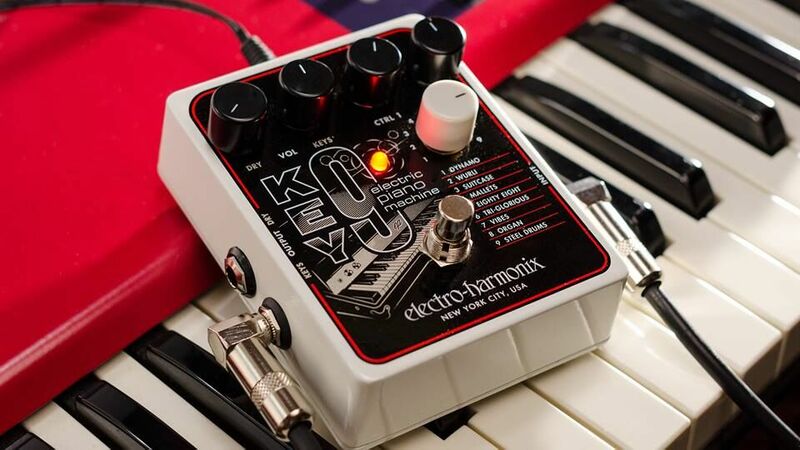 The KEY9 Electric Piano Machine was voted the Music & Sound Retailer’s Best Floor Effect of 2015. It is interesting to note that last year’s winner was our B9 Organ Machine! Music Inc. magazine honored the Silencer Noise Gate / Effects Loop with its Product Excellence Award.